– Eliud Kipchoge, who will be racing world 5,000 and 10,000 record holder Kenenisa Bekele in the 2014 Bank of America Chicago Marathon this weekend. Kipchoge says he thinks he can PR, which is big as his best is 2:04:05. Is glycerol really banned by WADA? Does that mean that Steve Spence, Deena, Rojo and Wejo are dopers? Why the hell is nobody talking about Bekele and Kipchoge? 26. Thinking of putting my life on hold to take one last shot at running in 2015. Worth A Read: BBC On Why Justin Gatlin’s Success Is Bad For Track And Field They should have titled their article, “Why the UK hates Gatlin.” Basically he’s the anti-Dwain Chambers. 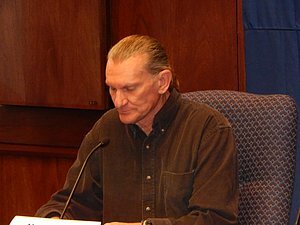 Chambers was a one-time offender, apologized, came back and was quiet and humble. 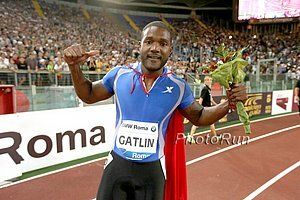 Gatlin had multiple offenses, never admitted doping and is cocky/loud. Plus they think he’s still dirty. Chinese Hammer Thrower “Shocked” After Testing Positive At Asian Games The substance she tested for is still used in some parts of the world as a growth hormone in livestock, so it’s possible she could have ingested it via contaminated meat. 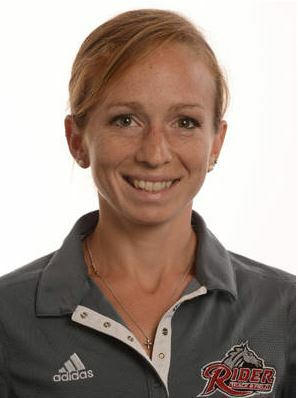 Good Read: Mitch Kastoff Profiles Dathan Ritzenhein And His Return Home To Rockford, Michigan Some interesting anecdotes about Ritz, including the fact that he and his wife dated in 6th grade (she dumped him at a rollerskating party) and that when they dated in college he convinced her to transfer from Villanova to Colorado. World Half Marathon Record Holder Florence Kiplagat Going For 2:18 In Chicago The 2013 Berlin champion has a PR of 2:19:44. Toni Reavis Blogs: One Year Later, Competitor Group Has Done A Complete 180 And Is Actually Increasing Its Support For Elites Last year, CGI got a lot of backlash when they announced that they were cutting support for elite athletes from their events. However, that didn’t last long and now they’re supporting elites more than ever. Profile On Masters Runner Spyros Barres, Who Is Back Running Marathons After 10 Years Away From The Sport Battling Crohn’s Disease Barres had surgery and figured out how to manage his disease; now he’s shooting for sub-2:40 at Twin Cities. IAAF Recap Of Smarna Gora Mountain Race: Andrea Mayr Wins With CR To Take Overall 2014 World Mountain Running Association Series World Cup Eritrea’s Petro Mamo won the men’s race as well as the overall title. Work Hard, Play Hard: Usain Bolt Takes On Oktoberfest In Munich, Germany Despite Bolt’s presence, overall beer consumption was way down. Apparently only 600 visitors had to be treated for alcohol poisoning this year, down from 629 last year and 739 in 2012. Cornel Fredericks Explains How He Won Commonwealth, African And Continental Cup 400H Titles Fredericks deserves it as in 2012 his coach died a month before the Olympics where he tore his hamstring and was DFL. IAAF Inside Athletics Season 2 – Episode 13 with 20-Year-Old 400 Ace Shaunae Miller The former World Youth and Jr. champ won world indoor bronze this year. 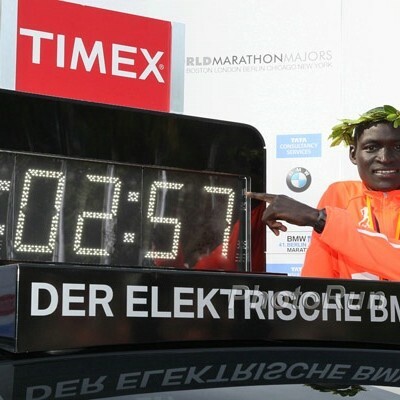 Spanish Statistician Miguel Calvo Does Extremely In-Depth Analysis Of Dennis Kimetto’s 2:02:57 Marathon WR Includes a lot of interesting stats, including comparisons to Wilson Kipsang‘s previous record, a look at Kimetto’s negative splits (the first time since Haile G in 2008 and that was only by a second) and a shout out to the excellent Berlin pacers. Interesting Running Form Analysis Comparing Dennis Kimetto And Emmanuel Mutai Side-By-Side During Berlin Did Mutai’s underpronation cost him the race? Runners Tribe Analyzes Dennis Kimetto’s WR And Asks How He Might Do In A Championship Race Len Johnson points out that there hasn’t been a marathon WR holder who was also an Olympic or World champion since the 1980s when Carlos Lopes ran 2:07:12 in Rotterdam after winning the Los Angeles Olympics the previous year. Good Q&A With Tyler Pennel, Who Debuted With A 2:13:32 To Win The US Marathon Championships 2:13 with a big negative split on a challenging course at least puts him in the conversation for the 2016 Olympic Marathon Trials. Random: New British Comedy Has Food Critic Actors Discussing Eating Mo Farah’s Leg We’re not sure what’s weirder to us, their conversation about cannibalism or the fact that a track and field athlete was a celebrity reference in a movie. Running Times Takes A Look At The State Of U.S. Marathoning They ask, “Fourteen years after its lowest point, are American marathoners on the way back to prominence?” We’re still a long way from having anyone in the 2:02-2:04 range.